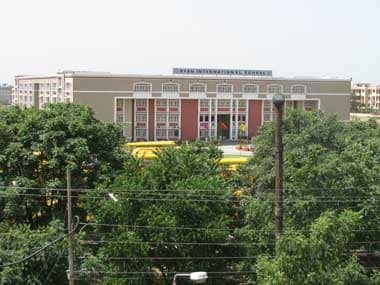 Gurugram: The Ryan International School in Gurugram will remained closed till 25 September as the family of seven-year-old Pradyumn Thakur, who was brutally killed on its campus, raised apprehensions about vital evidence being destroyed. The school was opened to thin attendance on Monday but following the victim's father's objections, the district administration decided to close it till Monday next week. Meanwhile, the Gurugram police team probing the case was at the backfoot in a local court over weak investigation even as the three arrested accused in the case were sent to judicial custody till 29 September. The victim's father Barun Thakur strongly held that the scFhool should not be opened till the CBI takes over the case. "The district administration has reopened the school and suppose if any kind of evidence is still intact inside, that could be destroyed by the perpetrator. I strongly object to the decision of the district administration and have written to the Prime Minister's Office (PMO) seeking its intervention," Thakur said. He had earlier written an e-mail to Deputy Commissioner (DC) Vinay Pratap Singh asking him to rethink the decision. Following the family's assertion, the DC decided to close the school till 25 September. The school opened on Monday but only 250 students came against a strength of 1200. Fear continued to grip the parents despite the district authorities having taken over the administrative charge for next three months. "We reopened the school after 10 days but as the family of Pradyumn had strong objections, we have decided to close the school to address their concerns and also take other safety measures," DC Singh said. Earlier, Thakur raised questions about the intent of the district administration over its decision to reopen the school. "Pradyumn murder case has now been transferred to the CBI but it has not taken the charge from the Gurgaon police SIT. Therefore, there are strong chances that evidence destruction could take place as the same teaching and non-teaching staff will run the school," Thakur told PTI. Thakur said that he had decided that Pradyumn's sister would not go to Ryan international school now. In the court on Monday, the Gurugram police was at the receiving end over weak investigation. The court sent all three accused Ashok Kumar, Francis Thomas and Jeyus Thomas in judicial custody till 29 September. A class 2 student, Pradyumn, was found dead in a school toilet, his throat slit. Schoolbus conductor Ashok Kumar was arrested the same day for allegedly killing the child.